Having a clean and ordered home may sound a piece of cake, but that is only if you spend your whole day with the cloth in your hand. This was probably the case many years ago, but in our modern times this is just mission impossible. No, we are not saying that you need to live in a mess then, even the opposite! And that’s why we established our company and for years we provide the residents in Central London with our domestic cleaning services. 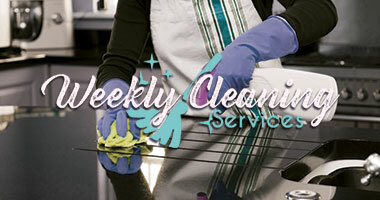 We focus not only on cleaning of houses, but we are flexible in our services. We cover regular or one off cleaning sessions for flats and even offices. Unlike many other competitors, we are confident in our results and that’s why we cover our services with GUARANTEE! The brilliant results we owe to our flawless cleaning team. It consists of people, who are devoted to their job and use all of their energy to leave sparkling results. They are competent enough to treat even the most fragile services in the best way, so that there is no risk of damage on it. They organisation skills make their job absolutely hassle-free and done in a blink of an eye. Don’t allow all the chaos makes you feel throttled and stuck. Benefit from us and we will send you a team of cleaners, who will leave your home in fabulous condition. Not a trail of dirt or reminiscence of mess will be visible after us. Our cleaning team will do whatever is needed for your home and will comply with your specific needs. We are willing to listen to your requirements and stick to them. We are constantly on the line for your needs. Our support centre is open for your question around-the-clock, so feel free to give us a ring any time. Our customers in Central London will be happy to know that the rates we offer are the most inexpensive in this community. Get in touch with us know and inform yourself. The cleanliness is health and care for the beloved ones!